Politics these last few weeks have been a game of distraction. Pres. Barack Obama gives a State of the Union-like speech, and we subsequently fixate on the first lady's daring to bare her well-toned arms in February. A young, rising-star Republican gives a response to Obama's address, and we focus on the way his suit billows off his shoulders. Conservatives and Republicans meet in a Washington summit, and we discuss former presidential speechwriter and presidential candidate Pat Buchanan's thoughts on the weight (and he wasn't talking gravitas) of Rush Limbaugh. During economic chaos and war - the latter of which seems to be a secondary concern, judging by Obama's speech to Congress - this furor over fluff isn't particularly helpful. Instead of embroiling ourselves in shrill, personal attacks and minutiae, let's try moving on to fight the real policy battles, the ones in front of us as well as the conflicts to come. Lost in the mix of idiocy and gossip have been practical solutions to the plight of the Right. Limbaugh tends to explore a few each day (most weekdays for 20-plus years now). National Republican Committee chairman Michael Steele (who has done his share of senseless sniping lately) claims he wants to do the same. But Rush isn't running for office and Steele has gotten off to a bad start. Meanwhile, way outside the limelight, some conservatives quietly toil away, crafting solutions to actual problems. Sure, every now and again, someone like House minority whip Eric Cantor spooks the Left enough to make a front-page profile in the New York Times. 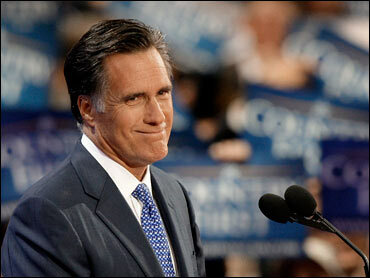 But generally speaking, a Paul Ryan or Mitt Romney speaks without many in the chattering class noticing. Along with Limbaugh, Romney, the former governor and candidate for the Republican presidential nomination, spoke at the Conservative Political Action Committee conference held in Washington, D.C., at the end of February. For all Romney's disadvantages - some real, some grossly unfair (his religion) - he may just be what America will be looking for in four years. At the very least, if you read his speech, you'll get a sense of some legitimate options for the Right. A good deal of Limbaugh's appeal is based on his ability to take principles and apply them, quickly and colorfully, to what's happening right now - often breaking news as his show hits the airwaves daily. Reagan could do this too, and it's why we still miss him. Romney did appear to be on a similar road during his remarks. "President Obama was awfully vague about some of his plans, but I think I heard him say that government is responsible for educating a child from birth - from birth - to its first job. . . . And there were hints as well of universal health care and a universal service corps. It all sounds very appealing, until you realize that these plans mean universal government. That model has never worked anywhere in the world." In other words, vague platitudes about "hope" and "change" coupled with nebulous talk of bipartisanship can go only so far. In his speech, in which he covered not only the war and the economy, but also judges, education, and much else, Romney delivered specifics - not partisan bickering, not quisling compromise, not frightened rhetoric, but an introduction to the straight-up nitty-gritty. Most important, the past, and perhaps future, presidential candidate set up a viable means of opposition to the liberal wave: "We must be the alternative course. We can't be that if all we say is no. Our plans must be clear, compelling, and first to the table. Our plans must have at least one common thread - they must make America stronger. Better education strengthens our kids; better health care strengthens our citizens; and bringing our budget into balance strengthens our economy and preserves our future. Today, as much as ever, conservative principles are absolutely essential to keeping America strong and prosperous and free." One speech isn't going to make anyone president - nor should it. But if Romney, who has a record of leadership in the financial, political, and even sports worlds, can show that he has a point-by-point alternative vision during these coming years, and encourage others to share it, he may have a second go at the White House. And that would really give them something to talk about.